This post marks the 51st week as a PhD student. I get the sense that I should do something special for next week’s post. Maybe I will interview myself or something else with less narcissism. Writing about what I do each week as a PhD student has become quite mundane. Not necessarily because the work has become stale. More so that the content feels quite similar and the way in which it is constructed is always the same. I sit down at the weekend and try and remember what I did during the week. Because this has become boring to me, I try and write about other things during the week, where I can be a bit more creative. I need to think of an innovative way to describe my week as simply summarising has run its course. I am open to any suggestions as to how I can accomplish this. White deer exist – I walking from Henley-on-Thames to Marlow with a friend and we came across these white deer. I have never seen these majestic creatures before, they look like mythical beings. They were roaming around a country estate; it was a Caroll-esque dreamscape. However, as my friend told me why these deer were kept, I have a strong melancholic attachment to that day. The deer are kept to aid in the hunting of deer, as they integrate with herds of your average deer. 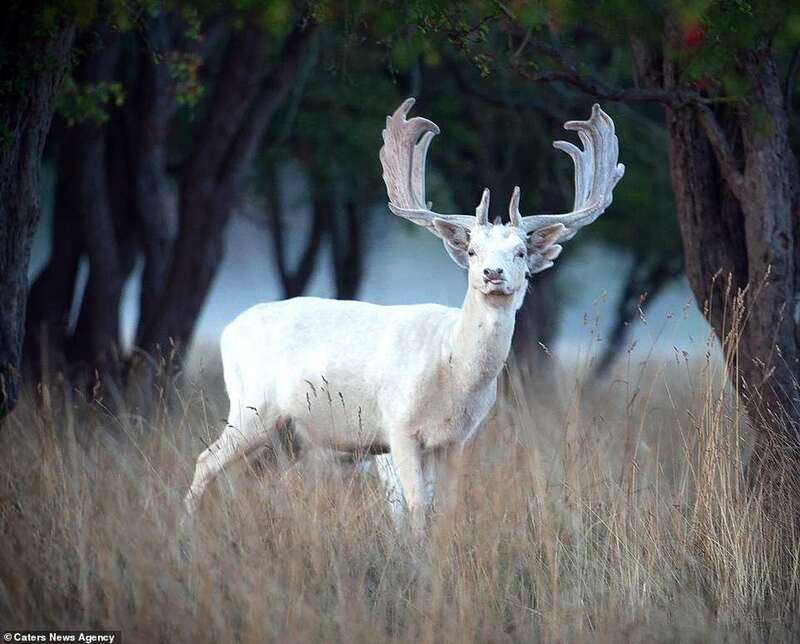 The white ones easily stand out and notify the brave hunters with shotguns as to the whereabouts of the deer. Not a particularly nice ending to that story. As a bonus, I spotted the author of Trainspotting, Irvine Welsh, at Henley literature festival. He was promoting his new book. Apropos my PhD, the old adage ‘no news is good news’ applies. It was a business-as-usual kind of week. I spent most of my mornings In the lab either setting up or running experiments, and I spent the afternoons analysing the data recorded from experiments from weeks gone by. I do not have the energy to dress this up as anything more than it is…work. Next week I am travelling to Kew gardens in London for a day of talks by a company who makes scientific equipment. I have never attended such an event and am curious about how much I will learn versus how much sales speeches I will have to endure. As I don’t have any purchasing power, I doubt I will be specifically targeted. I have never been to Kew gardens which is essentially the only reason I am going to this event. I intend on leveraging my opportunities derived from being a student as best I can. I think next weeks post will be one of the best I have ever produced, that Is my intention anyway. Good job on writing for the past 51 weeks during your PhD! It was something I wanted to do when I started a few years ago but always got distracted. I feel like this has been good to keep you motivated. All the very best and congratulations for reaching (almost!) 1 year! It’s a shame to kill these innocent dears. As if you have no other job to do, being a student student studying for your P.hD. You can do a new invention on caffeine. By removing the effective part of the stimulus in caffeine and introducing harmless radical so that it could be used instead of caffene in future. Using a new trade Mark too.Use a spectroscopy to get all the radicals present in it first. Then is a matter of testing as you please. Sad to hear hunting. Why kill these innocent herbibhores? Anyway not your problem. Kew’s lovely in the summer – hope you get a chance to have a proper look around! As Wang Chung sang in the song “Wait” (on the “To Live and Die in LA” soundtrack), I can hardly wait! I love this Idea, I will definetly do this for the next one (I am actually three months ahead with my posts, so it won’t appear for a while). I am a bit jealous of you getting to see that! 😉 What a wonderfully beautiful animal. I can’t imagine why anyone would want to kill that creature for sport… It’s beyond me.